To ALL FLYNN FANS OUT THERE. It’s been a long journey since I made my last film FORGOTTEN HEROES in 1988 and I was able to finish it in 1990. I had over 250 screenings of my film and I wanted to “honor and welcome home’ all the Vietnam Vets. After that war, they were spat on and later Hollywood spat on them in films. The anti-war protestors all ran Hollywood and they ended up blackballing me and my film. That was in 1992, I still have the film and I am selling the DVD on my website. I wanted to post a review from a fellow filmmaker and Flynn aficionado Steve Latshaw! I am watching FORGOTTEN HEROES tonight and am reminded of what a beautiful, heartfelt film it is. You’ve seen it so many times its impact may be lost on you. It’s truly a great film, beautifully shot. And I loved the nods to Errol, particularly the incredible scene where the surfer has been tortured and asks the Greek to kill him. It reminded me of the great scene in Objective Burma – but you took it further and the emotional impact was profound. I have made over 35 movies in my career. I have always wanted to make a film that would affect people lives in a profound and positive way. I haven’t yet done so. I’ve often said I’d give up my career if I could make one film like that. You did it right out of the gate. You can go to my website and purchase a copy and let me know if you want me to sign it for you. My film stars veteran character actor William Smith. He plays a Russian General who wants to defect to the USA. I tell people that Forgotten Heroes is “Objective Burma meets Kelly’s Heroes in Vietnam”. From King Karl Holmberg, comes a rare image of a young Mrs. Olsen percolating over Errol Flynn. Thank you, Karl! Mrs. Olsen saves another marriage. A Good read about Olivia. Mail Bag! 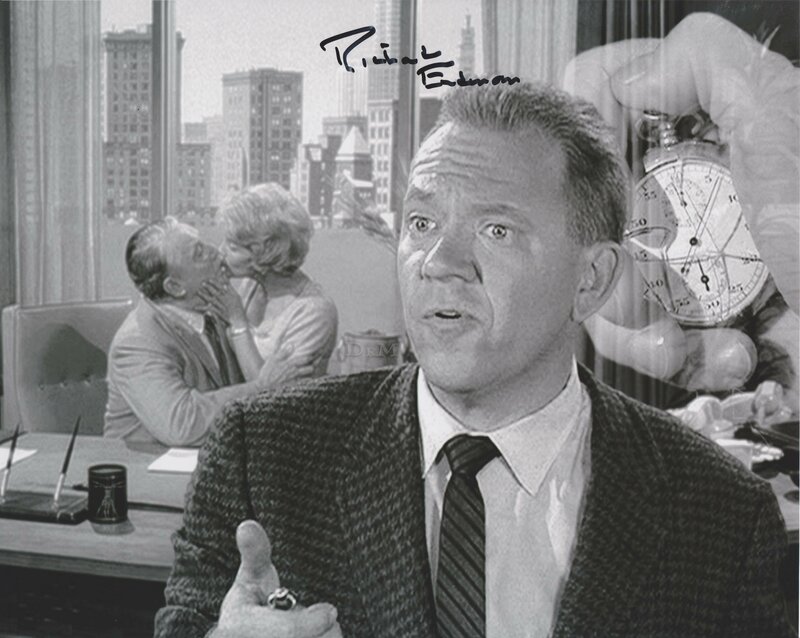 Jack Marino interviews Richard Erdman! Here is the wonderful Richard Erdman interview from Jack Marino’s Warrior Filmmaker Show on LA Talk Raidio: Thanks, Jack for letting us post it! Richard Erdman appeared in Objective Burma! Fare thee well, Richard. You were a great Flynnmate. today marks the 100th birthday of Nathaniel Adams Coles commonerly known as Nat King Cole. Born in Montgomery Alabama the son of a butcher turned Baptist pastor had a professional band at age 16. Having moved to the South Side of Chicago he engaged in a prolific musical battle with his piano idol Earl “Fatha” Hines. “Sweet Lorraine” was his first hit with many more to come like “Mona Lisa” and “Straighten up and fly right”, once he was signed by Capitol Records, then a young label. The King of Jazz was nominated four times for a Grammy and finally received his first in 1959, playing at the Sands Casino of Las Vegas for many years. The broad smilin’ entertainer with the honey covered vocal cords found himself opposed to very similar obstacles in later life like our man Flynn, who he met in Istanbul on the backlot of Universal Studios. In order to pay back back taxes caused by incompetent management he was forced to constantly touring and n’erending TV appearances. That a a whole lotta chain smoking lead to his untimely death at 45. 27 years after he posthumely would receive seven more Grammys for the duet across time and space with his daughter Natalie. Much obliged for any post of all you knowledgeable Flynnions here if King Nat commented on his working with Errol. I have the distinct privilege, and the blessings of the powers that be, to pass on some news. An emeritus member of this group (and in the hierarchy of STELLAR Flynn SUPER contributors which include the likes of Conrad, Thomas, Freedland, Morris, Valenti, Moore, McNulty, Matzen, Mcaleer and, of course, Hurst), Robert Florczak has shared that he is in talks to publish, FINALLY, his magnum opus effort on “Errol Flynn, The Illustrated Life Chronology”. Tomorrow being, possibly, “a long time” but hopefully, NOT! Suffice it to say it may well be sooner rather that LATER! 1933 – Release of Australian Charles Chauvel’s first sound film, In The Wake Of The Bounty, starring Errol Flynn.